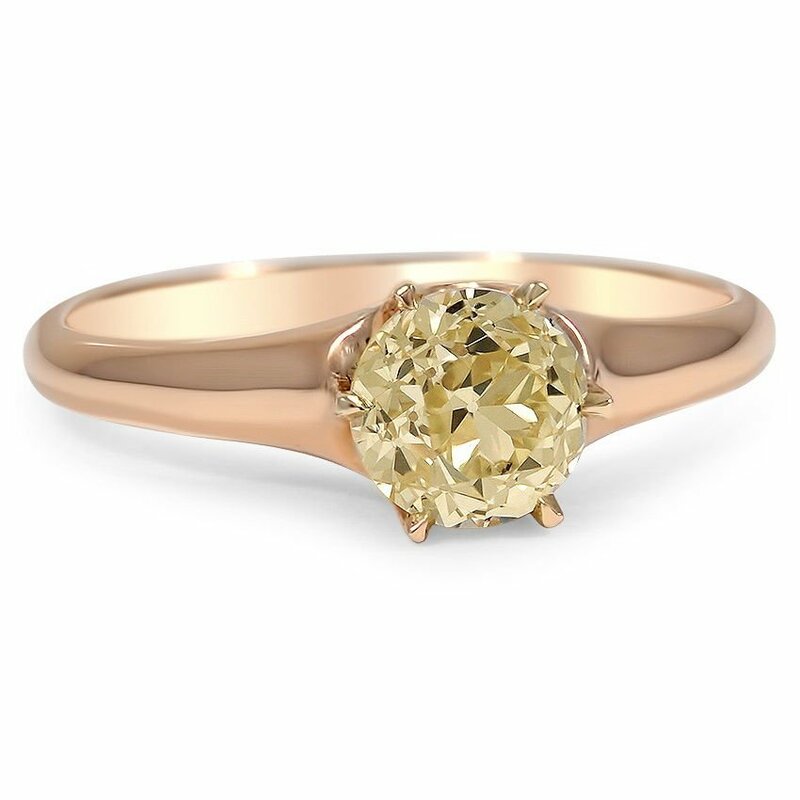 This ethereal Victorian ring features a fancy light yellow old European cut diamond set in warm and romantic rose gold. 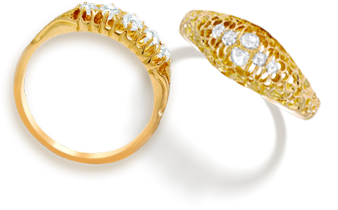 The six-prong setting and delicately tapered shank make this charming ring a timeless classic (approx. 0.90 total carat weight).